Are you burdened by large debts and worries that you could lose your home and property? Now is the time to consider legal options to protect your assets and get your finances back under control. Among the options you may have is filing a Chapter 13 bankruptcy petition. The Chapter 13 process lets you establish a new payment plan to repay the debts. The skilled bankruptcy attorneys at the Wirth Law Office in Muskogee can help you learn about your rights and options. 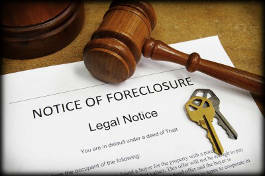 While Chapter 7 bankruptcy – which liquidates non-exempt assets and eliminates most debts — may be appropriate for persons with fewer assets and lower income levels, filing a Chapter 13 bankruptcy petition may be the best solution for those with regular income sources and more significant assets who want to restructure their debt and keep their property. Learn about the various options available to you now, with a free consultation at the Wirth Law Office. For a no-cost, no-obligation consultation with a Muskogee Chapter 13 bankruptcy attorney, call the Wirth Law Office today at (918) 913-0725, or call toll-free at 1-(888) 447-7262 (Wirth Law). Unlike Chapter 7 bankruptcy, Chapter 13 has the advantage of protecting assets you’re your home or vehicles while reducing and restructuring your debt. While under Chapter 13, your debts are not totally eliminated, it can help you to save your home or vehicle, even if you have gotten significantly behind on your payments. Chapter 13 filings can be made by an individual or a couple with unsecured debts under $360,475 and secured debts under $1,081,400. In Chapter 13, a bankruptcy petitioner and a bankruptcy trustee together work out an affordable debt repayment plan. The filing brings immediate relief from wage garnishment, foreclosure, lawsuits and other creditor remedies. The repayment plan will give you three to five years to consolidate, re-prioritize and catch up on delinquent accounts. It also protects your assets and co-signers while you get your debts back under control. While the repayment plan is in effect, you make a single payment to the trustee, and will not have to deal directly with your creditors. If you stick to the repayment plan, you may also be able to get reductions in some of your unsecured debts, such as credit cards, medical bills and mortgage or foreclosure deficiencies. Don’t wait until it’s too late to put your finances back on solid footing. Let an expert and experienced Chapter 13 bankruptcy attorney at the Wirth Law Office help you decide whether Chapter 13 is the best course of action for you. Our skilled and experienced Muskogee bankruptcy lawyers can also advise and assist you on any other credit-related issues. For a free consultation with a Muskogee Chapter 13 bankruptcy lawyer, call the Wirth Law Office at (918) 913-0725, or call toll-free at 1-(888) 447-7262 (Wirth Law). If you prefer, you can contact a Muskogee bankruptcy attorney using the box at the upper right-hand side of this page to submit a question or message.